To be able to calculate its ROI marketing with Marketo ( return on investments ) in one click … The dream of any Marketer … Well this dream came true this morning during our Café, Croissants, Marketo where Cécile Feroldi came to present the way she pilot Marketing on a daily basis using the Revenue Cycle Explorer Marketo module (the new name of which is “Advanced Report Builder”). All Marketing departments today are faced with the need to prove their contribution, defend their budgets, convince sales of the interest to work together. Unable to report to management with data on email openings or clicks! For that we had already shown you the basic reports of Marketo . Now it is necessary to calculate its ROI marketing, profits, influence of marketing, but above all it is necessary to come with figures. Cécile tells us: “We can no longer accept to invest several thousand euros or tens of thousands of euros on an event just on the faith of sales people who think this event is important. It must be proven that in the past an event of this type has positively influenced sales over the next 12 months. It is time to measure, to optimize, to stop what is not working and to reinforce the campaigns that is working. I know my costs fairly easily: that’s what I spend on my events, my contacts list purchases, my webinars … I add personal marketing expenses? Maybe not at first, it may be complicated … Nevertheless, my website and my blog on which I invested continuously, how to take them into account? For income, I have my CRM, with opportunities, and other difficulty, I have to link these opportunities and one or more marketing campaigns to dispatch the income on these campaigns. We come across the topic “Allocation of income” that I deal with just below. I try to build a “pipe” or a “funnel” of conversion by putting end to end the campaigns through which are supposed to pass the contacts, but you soon arrive at the conclusion that 1 / your contacts participated in many campaigns, And not all in the same order 2 / in the same company, usually more than one contact is affected by your campaigns. And then, in Excel, this becomes impossible to model. Either the explicit mode: Marketo reads the opportunities, and the contacts attached on these opportunities. He then looks at which marketing campaigns have successfully reached these contacts and makes the link thus: opportunities> contacts> campaigns successfully. Either the implicit mode: Marketo reads the opportunities, goes back on the account, and will dispatch the income on all contacts – from that account – affected by successful campaigns. 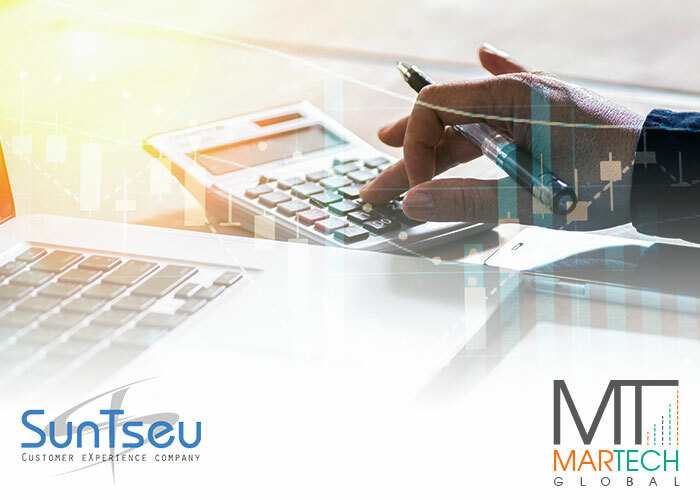 Marketo then performs automatic income allocation calculations and gives you a “First-Touch” or “Multi-Touch” vision. Note: for these calculations you must have Marketo as well as its option “Revenue Cycle Explorer” which is a dedicated “Business Intelligence” brick, natively connected to Marketo and which incorporates these attribution logics without you having anything at all To set. Attribution is how Marketo allocates revenue to programs that have influenced opportunities and sales. What does First Touch / Last Touch / Multi touch mean? The First Touch (FT) award answers a simple question: which programs acquire the most new qualified leads? Multi Touch (MT) answers a complex question: Which programs are the most decisive to get the lead to the Sales stage. The powerpoint attached gives you examples of first touch and multi touch calculations (slides 13 to 16). Cécile Feroldi then showed us the reports she uses. The presentation below contains them, without the data for obvious reasons of confidentiality. The campaigns in Marketo are grouped in channels and Cécile can see in two clicks the campaign or the channel that generates the most leads. How does Marketo calculate this? Whenever a lead enters the database, the campaign by which it is entered is traced: the blog, a webinar, a content download, a forwarded email sending, or sales if the CRM is connected to Marketo …. Markto therefore relies on these data to make this type of report. It’s good to generate new leads, it’s even better if these leads generate opportunities behind and then income. These reports allow you to see which campaigns are effective in triggering opportunities and then in income. How does Marketo calculate this? For the pipeline generated, Marketo will dispatch the amount of opportunities created over the period under consideration on the attached contacts and then on the successful campaigns before the opportunity is created. For revenue generated, same logic: Marketo will dispatch the amount of opportunities won over the period considered on the contacts attached, then on successful campaigns before the close of the opportunity. The success of an opportunity is based on teamwork (is not it?) Between marketing and sales. It’s not one or the other that won, it’s both. Ok it’s nice all that, but can we prove it? Here again, Cécile demonstrates: on the one hand, the number of opportunities that have not been influenced by the business, their amount, and the size of the average opportunity, and on the other the same indicators for the opportunities influenced By marketing. Conclusion (I have seen the figures): even if there are more opportunities not influenced than influenced, the amount generated is twice as large when the opportunity was influenced by marketing! Sacred argument to convince sales forces> work together, this will generate bigger deals and you will have more bonuses! What better argument than to arrive at the management committee with its return on investment figures calculated by years, and showing results between 300% and 4000%? This report shows the amount of marketing investment in a given year and the total income assigned to the campaigns of the years in question, and so is able to calculate the ROI. The inverse logic is present in slide 22: for an amount of business influenced in year n, what costs associated? Conclusion, you build your reports by dragging and dropping the indicators and filters that interest you, and Marketo runs! You understand, if you can not connect your CRM that contains your business generated and won, and Marketo that contains your campaigns, there will be no magic, you will not be able to benefit from the computing power of Marketo . Put all its campaigns in Marketo in order to have an exhaustive vision. My CRM does not contain all income. This is quite often true for the “SMB” business for which an order is directly signed, especially on your company has offers on shelves, with an ecommerce site. The sales process is then simplified and fast and does not go through the creation of an opportunity. This can also be true sometimes for renewal, or for business that goes through the indirect channel. A solution can – sometimes – be to recreate an opportunity for each such order. The amount of income on the opportunity does not really match what was signed at the end or the amount of income actually generated over the term, which is especially true in the service. The solution is to set up a “Close the Loop” in the CRM, that is to repatriate the billing data of the finance and to regularly update the opportunities with this information (I do not have Said it was easy :-). Seeing Cécile, we think that all this looks easy. This is actually the culmination of a journey in terms of maturity marketing automation that lasts several months, a journey that we tell you succinctly in our diagnosis . You also want to have your ROI of campaigns at your fingertips?